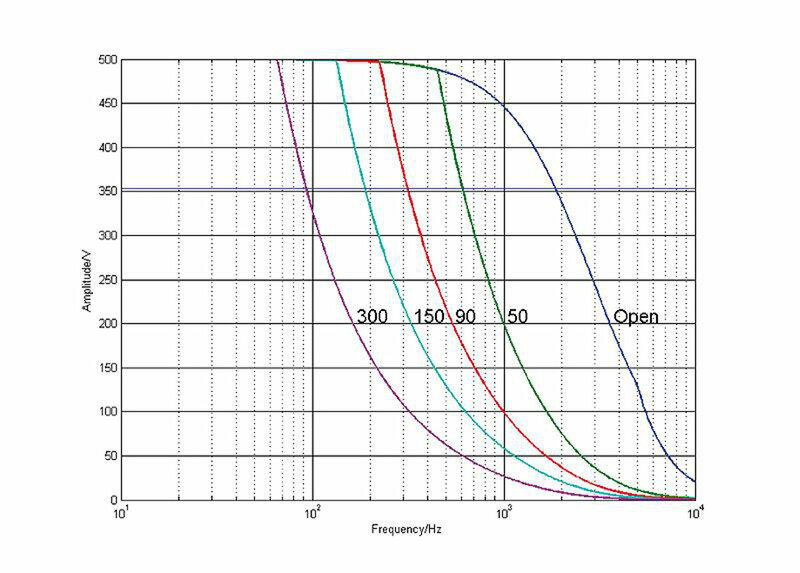 The low-noise E-413.00 (benchtop device) and E-413.OE (OEM module) amplifier modules are designed for operating piezo actuators with bipolar power supply. They can output and absorb peak currents up to 100 mA, which corresponds to the standard range of -250 to +250 V for PICA Shear actuators from PI . 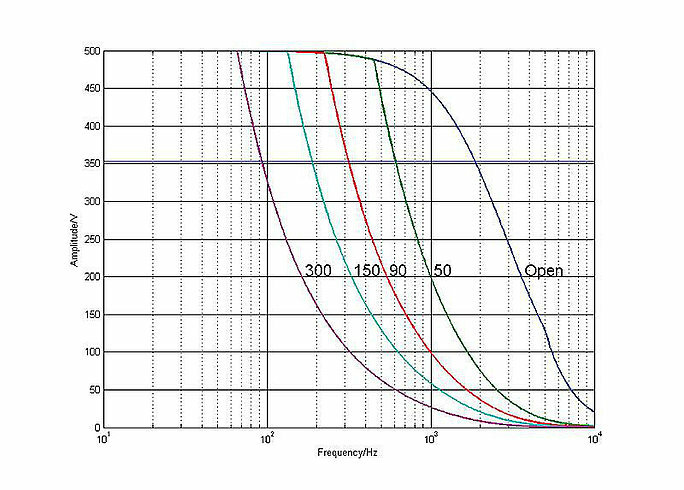 The E-413.D2 version is conceived for the operation of piezoelectric DuraAct transducers and offers a peak power of 50 W in the voltage range of -100 to +400 V.
E-413 piezo amplifier modules offer precision control for piezo shear and bending actuators in static and dynamic operation. 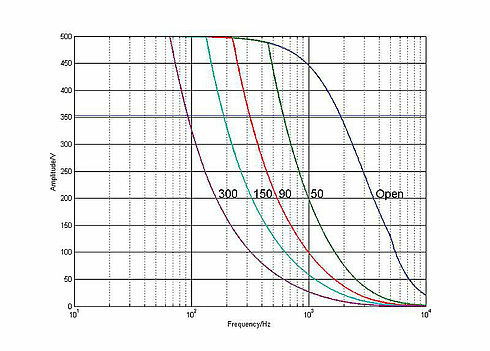 The output voltage can be either set exactly with an external offset potentiometer (not in the scope of delivery) or controlled via an analog input signal that is amplified by a factor of 50. 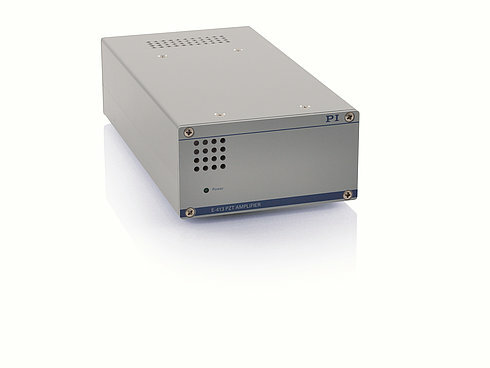 A stabilized voltage of 24 V is sufficient to operate the E-413. An integrated DC/DC converter supplies the piezo voltage as well as all other necessary internal voltages. All inputs and outputs are routed via the 32-pin connector strip. Alternatively, analog control is possible from the PC via D/A converter. 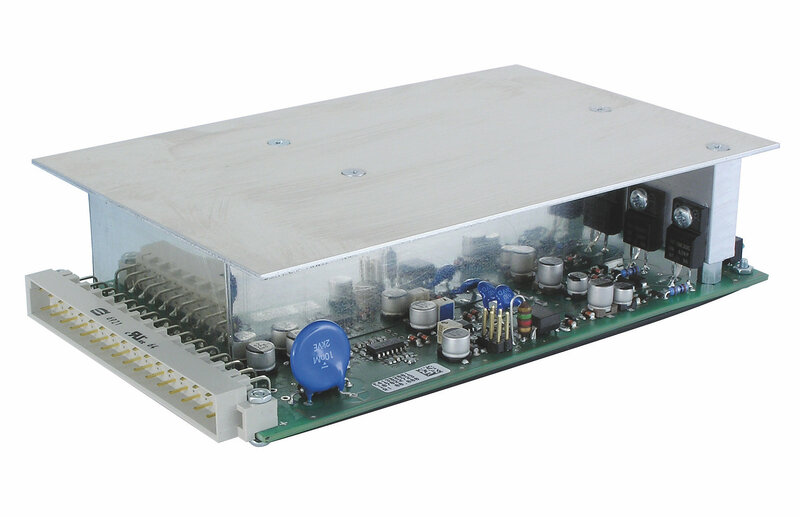 For certain National Instruments D/A converter boards, PI offers a complete driver set compatible with the PI General Command Set (GCS) for use with NI LabVIEW software. OEM modules: Connector strip for 32-pin main connector for installing into the customer's housing. Printed documentation. Benchtop device: Power adapter with power cord and adapter. Connecting cables for the piezo actuator. Adapter cables for control signal input SMB/BNC. Printed documentation.